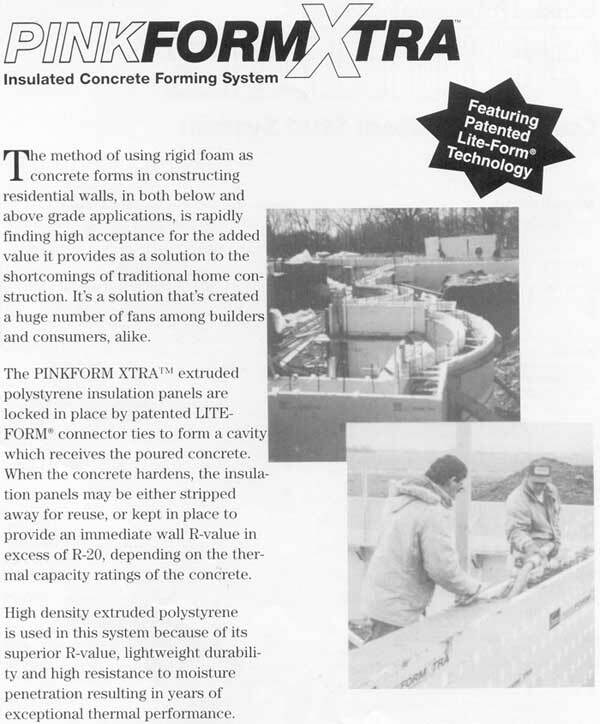 UltraR is a rigid, non-structural polyisocyanurate foam insulation board with protective facers of foil laminate on both sides. It is available in many thicknesses, sizes and R-values to meet particular insulation requirements. Ultra/R Insulating Sheathing is for use in residential or commercial construction with wood or metal framing to provide additional insulation for the following exterior sidings. Brick or wood, hardboard, aluminum and vinyl sidings which are fastened to the wood or metal frame through the sheathing. 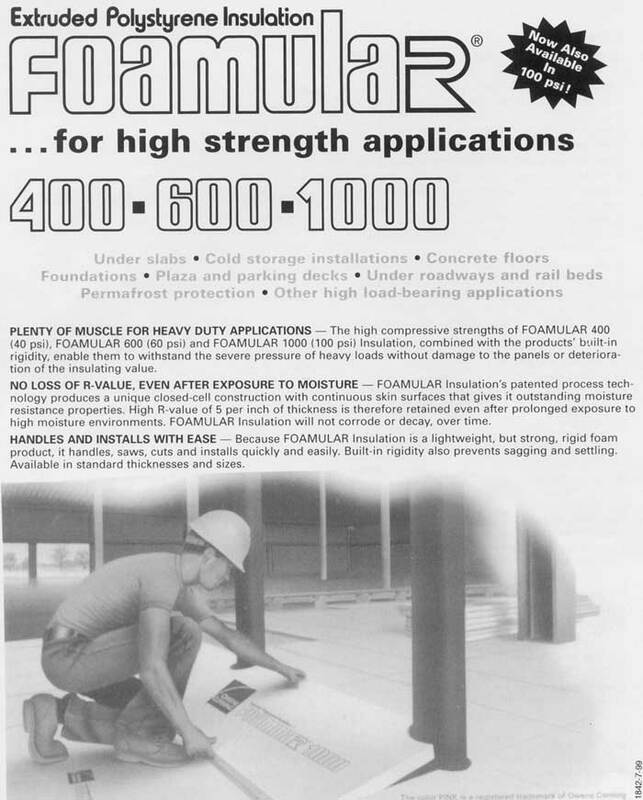 Where building codes require a 15-minute thermal barrier, apply ½” gypsum wallboard to sidewall interiors. Combining ¾” thick Ultra/R in conventional 2 x 4 sidewall framing, 3-1/2” fiberglass and finish siding provides an insulated wall system in excess of R/19. 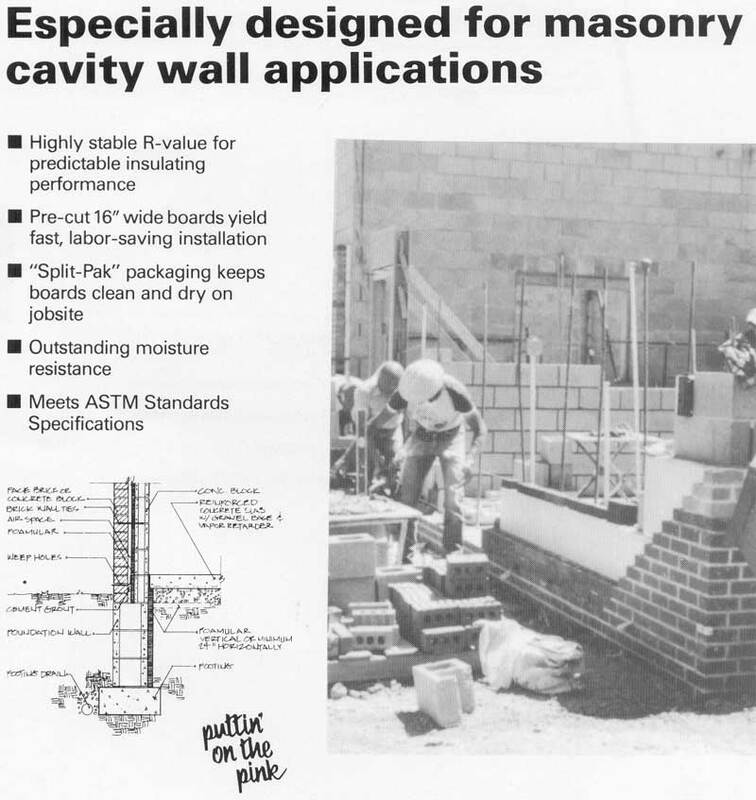 Description: NO MATTER WHICH TALE YOU HAVE BEEN TOLD, TUFF-R “C” OUTPERFORMS STYRENE INCH FOR INCH IN R-VALUE AND AIR SPACE DEPTH IN ALL CAVITY WALL SPECIFICATIONS! · 1-1/4 inch Tuff-R “C” stabilizes at R-10 and leaves 1-1/2 inch air space in a 14 inch Cavity Wall System….delivers an extra 2.1 R-value from its reflective facer for a grand total of R-12 and is supported by a 15-Year Thermal Warranty. Tuff-R”C” LEAVES ¾ INCH MORE AIR SPACE THAN 2 INCH STRENE FOR MOISTURE ESCAPE. 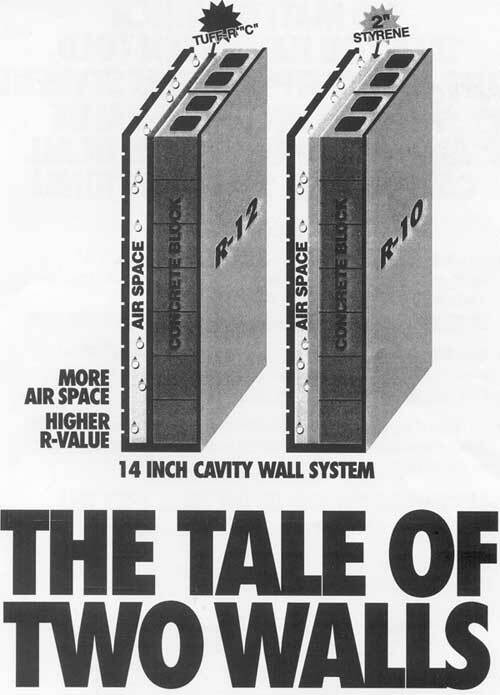 · 2 inch Tuff-R “C” delivers R-16 plus a reflective facer for a grand total of R-18, and still leaves 34 inch air space in a 14 inch Cavity Wall System…3 inch styrene delivers R-15, but won’t fit into a 14 inch Cavity Wall System. · Insulation of any kind, when surrounded by water, will experience a thermal short-circuit of the system’s R-value due to water’s high thermal conductivity, regardless of the tales you hear. LET THIS BE THE END OF THE TALES THEY TELL. 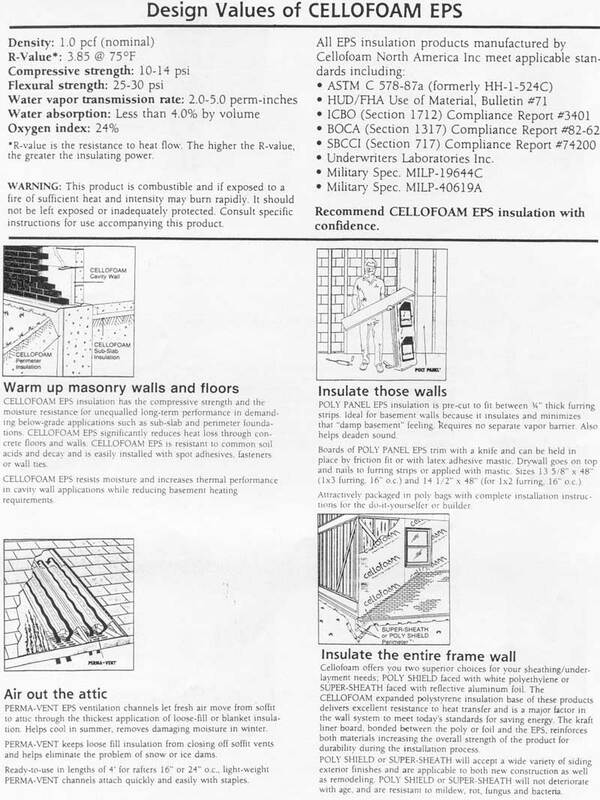 Manufacturer: Cellofoam No. America, Inc.
· R-value is the resistance to heat flow. The higher the R-value, the greater the insulating power. WARNING: This product is combustible and if exposed to a fire of sufficient heat and intensity may burn rapidly. It should not be left exposed or inadequately protected. Consult specific instructions for use accompanying this product. 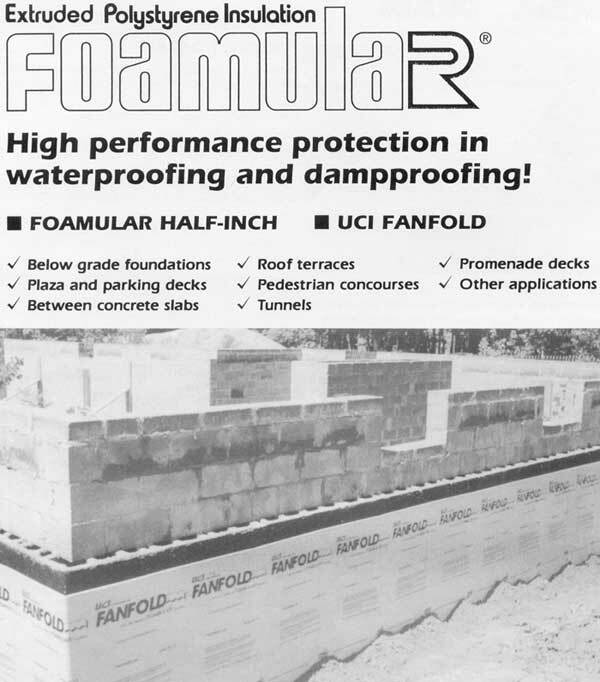 Recommend CELLOFOAM EPS insulation with confidence. Click image for installation procedure. 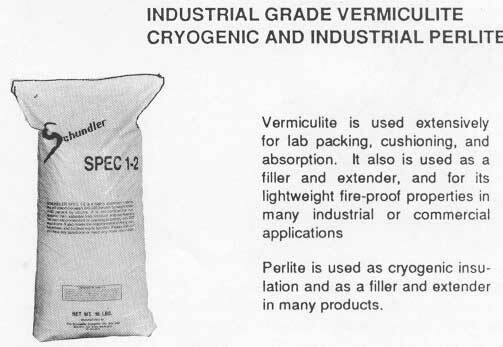 Description: Vermiculite is used extensively for lab packing, cushioning, and absorption. 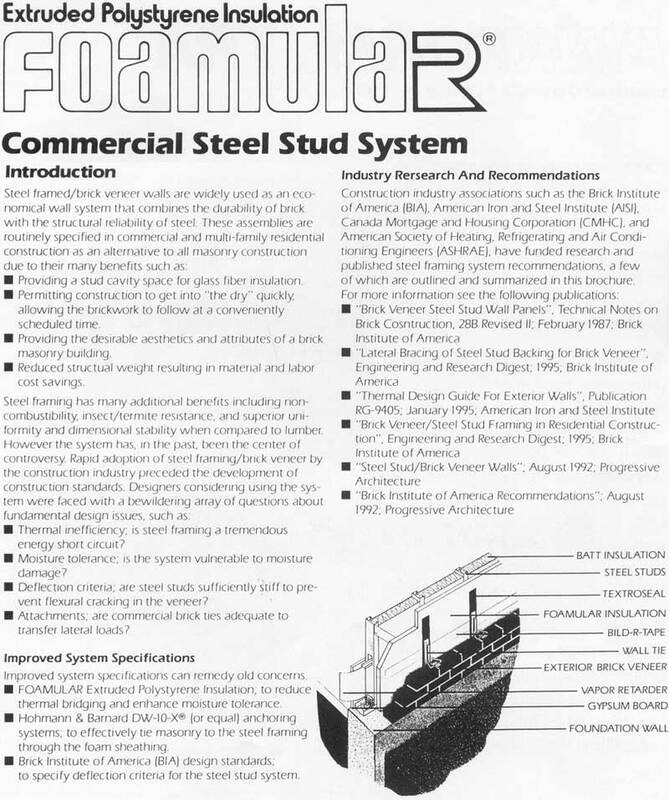 It also is used as a filler and extender, and for its lightweight fire-proof properties in many industrial or commercial applications. 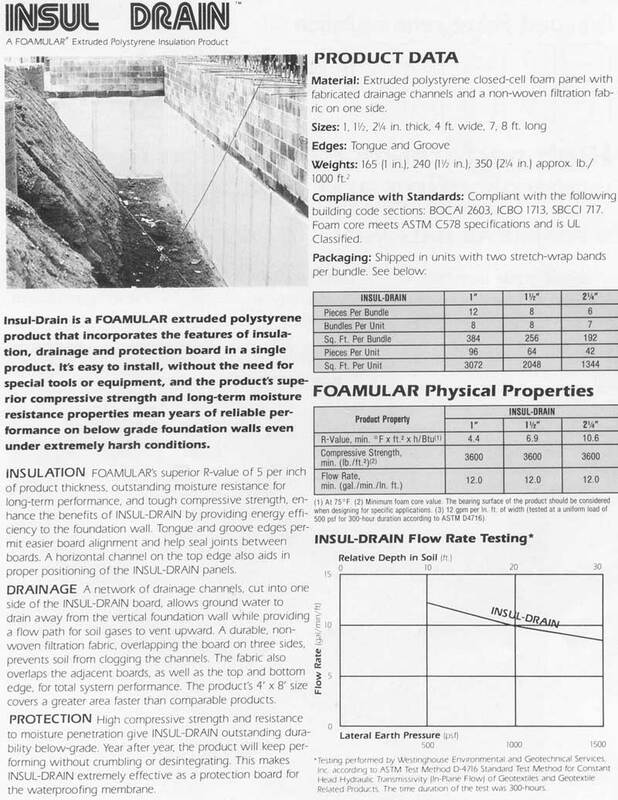 Perlite is used as cryogenic insulation and as a filler and extender in many products. 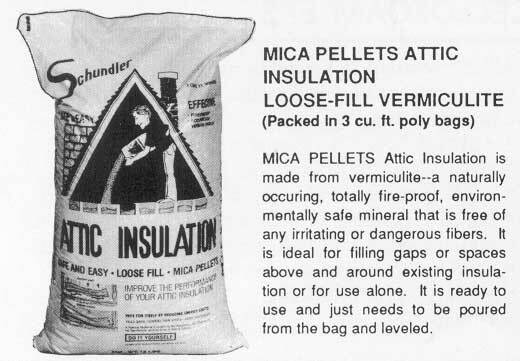 MICA PELLETS Attic Insulation is made from vermiculite—a naturally occurring, totally fire-proof, environmentally safe mineral that is free of any irritating or dangerous fibers. It is ideal for filling gaps or spaces above and around existing insulation or for use alone. It is ready to use and just needs to be poured from the bag and leveled. 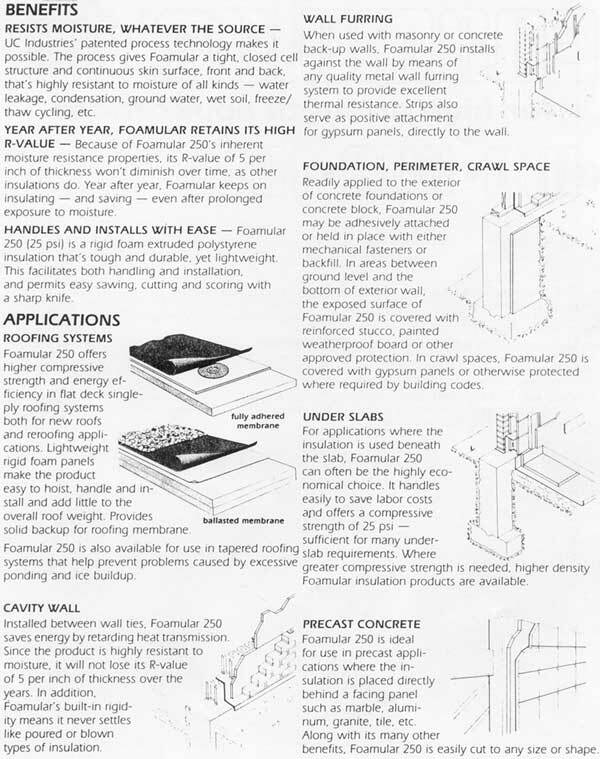 Perlite and vermiculite loose-fill insulation have proven to be the best form of insulation for use in the hollow cores of concrete blocks or cavity type masonry walls. Lightweight and permanent, they do not settle or decompose; and during installation, they can flow into all those difficult to reach spaces and cavities so prevalent in block wall construction. There are some differences in color, granular size, R-value, and ease of installation between perlite and vermiculite. Ask us if you need more information or if you are not sure which one to use or buy.